** MEET AND GREET TICKETS CAN BE PURCHASED BY PHONE OR IN PERSON ONLY! CALL 213-5555 EXT 5 ** The meet and greet is an additonal charge, if you plan on purchasing meet and greet tickets DO NOT purchase online! You can not upgrade to meet and greet after a previous purchase. The Wayans family is filled with talented members, so there is no surprise that the two youngest brothers, Shawn and Marlon Wayans, have followed in their family's footsteps as Hollywood icons. 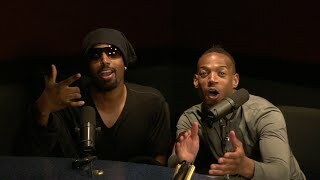 Both Shawn and Marlon Wayans made their acting debut in 1989 in their brother Keenen Ivory Wayans’ feature film "I’m Gonna Get You Sucka." Immediately following their feature film debut, they joined the cast of the Emmy Award winning comedy series, "In Living Color." "The Wayans Bros." sitcom, which Shawn and Marlon created and starred in, was the first WB show to be sold into syndication after heading up the WB network lineup for five years. Shawn and Marlon’s past film credits include the hit comedy "Don’t Be a Menace to South Central While Drinking Your Juice in The Hood." More recently Shawn and Marlon starred in the box office hit, "Little Man" and "White Chicks," both of which they also co-wrote and produced. The brothers began co-writing this string of blockbusters with the smash "Scary Movie" and "Scary Movie 2."